Oberheiden, P.C. is a team of former Department of Justice prosecutors and veteran federal defense attorneys that represent physicians, business owners, and health care executives against government investigations and federal charges. With decades of combined experience in leading government positions, our attorneys are able to effectively assess a situation and to provide reliable advice in times of crisis. Are you concerned about a business relationship that involves referrals? Did you sign a health care contract without proper legal representation? Do you have questions about the Anti-Kickback Statute or want to know what is considered problematic and what permissible? Do you think you are under government investigation or have you been criminally indicted for violations of the Anti-Kickback Statute? Are you seeking reliable advice and defense strategies? If so, this is what you need to know. The Department of Justice has dramatically increased the number of Anti-Kickback prosecutions. Almost no day passes without reports about new indictments, new raids, and new arrests against members of the health care industry. With penalties ranging from many years to life in prison, it is critical to be represented by experienced attorneys. We can help you. Oberheiden, P.C. has the experience and the attorneys to end, mitigate, dismiss, or resolve health care fraud investigations. Our track record is our best proof. Our team of former federal prosecutors and experienced health care fraud attorneys understand how the government is building a case and what to do against it. Clients from across the United States continue to enjoy their freedom, their reputation, and their family life because of the work results of our attorneys. We would be delighted to do the same for you. Most importantly: don’t wait. The longer you wait, the more time you give the government to investigate you and your business, your affiliates, and your family members. Nothing is more effective than a forceful early legal defense strategy to stop a government investigation. If you want to discuss your case or your situation with us, you should call one of our senior attorneys today. Calls are free and absolutely confidential. Unlike most industries, the health care industry is heavily regulated, and kickbacks (payments for referrals) are not permitted. Anti-Kickback investigations should be taken very seriously to avoid criminal prosecution. The Federal Anti-Kickback Statute (42 U.S.C. § 1320a-7b(b)) is a federal criminal statute that prohibits payments intended to influence (i) the referral of an individual for an item or service for which payment may be made by a federal health care program or (ii) the purchase, lease, order, or arrangement for or recommendation to purchase, lease, or order any good, facility, service, or item for which payment may be made by a federal health care program. Importantly, the Anti-Kickback Statute requires criminal intent. The government must show that the payments for referrals were made knowingly or willfully. Courts have interpreted this standard in a government friendly way. The Anti-Kickback Stature applies if only one purpose of an arrangement is to induce referrals for services or purchasing of items payable by a federal health care program. See, e.g., United States v. Greber, 760 F.2d 68, 72 (3d Cir. 1985), cert. denied, 474 U.S. 988 (1985). Violation of the federal Anti-Kickback Statute may result in severe penalties. Criminal penalties include sentences of up to five years in federal prison for each violation and criminal fines of up to $ 25,000 per count. Do Not Wait! You do not need to wait until you are charged to obtain legal representation. Targets of health care fraud investigations tend to underestimate the severity of a kickback investigation and sometimes delay seeking legal representation; that can be a big mistake. By the time you learn about the government’s investigation, federal investigators have most likely been gathering information about you for weeks or even months. That means that the government investigators have a huge advantage over you in terms of knowledge and time. The sooner you start taking action to defend yourself against the investigation, the sooner you can start building your own defense and pushing back against the government’s efforts to build its case against you. Do Not Talk with Investigators. Federal agents and investigators often interview individuals to gather more information. They may show up unexpectedly at your home or your business. If so, it is very important to remain polite and respectful, but to insist on the presence and inclusion of your lawyer. Agents are trained to use tactics to get people talking. Typically, they will use the moment of shock after people realized that FBI agents are standing in front of their house or clinic to assure that the questions have nothing to do with you and that there is no need to be worried. In almost every case, that’s not true. Unlike you, agents are permitted to misrepresent, mislead, and even lie to you. It is their job to get information, not to share information with you. If law enforcement shows up, it is definitely time to hire an attorney, regardless as to what you are being told. The safest course of action to take if you are approached by investigators is to confirm your identity and politely decline the interview without your attorney present. Limit Further Interactions with Others Implicated in the Investigation. Kickbacks are not one-way-streets. By definition, kickback schemes involve at least two parties and thus the government will always look both ways. 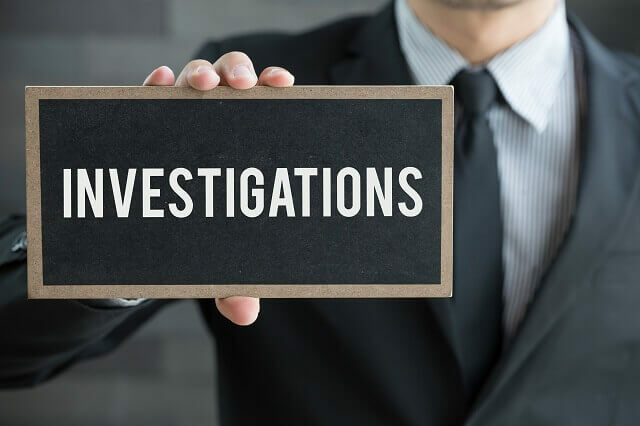 For example, if investigators target a marketing group for kickback violations, it is safe to assume that the investigation will soon also involve the sender/receiver of alleged kickbacks, be it a physician, a pharmacy, or other business affiliates. Once you are aware of or suspect that there is an investigation pending, you should stop communicating with your alleged counterpart. Emails or text messages can be reproduced and nothing would be more problematic for your defense than the government being able to offer admissions, self-incriminations, or other types of commenting on the allegations. Also, keep in mind, depending on the stage and the magnitude of the investigation, it could well be possible that your counterpart is actively cooperating with the government and may record you or volunteer all communications with law enforcement. Usually it is best to let your attorney coordinate with the attorney of the other target. Do Not Destroy Any Evidence. Although destroying incriminating information or documents might seem like it will help your case, it is a crime and may subject you to criminal prosecution independent of and in addition to whatever charges you may receive pursuant to the kickback investigation. Do absolutely resist the temptation to destroy, hide, alter, temper with, or otherwise manipulate evidence. Destruction of evidence includes altering or deleting electronic files – including text messages, emails, and voice mails, destroying or throwing away hard copies of documents, and breaking or throwing way electronic devices that may contain information, such as computers or mobile phones. To protect yourself, you should make sure to turn off any auto-delete programs on your electronic storage systems and give instructions to any of your employees to preserve all files and documents. The broad reach of the Anti-Kickback Statute does not come without exceptions. Time after time were the attorneys of Oberheiden, P.C. able to convince federal prosecutors that, while the anti-kickback statute may appear to be violated, permissible exceptions applied to the transactions. These exceptions, often referred to as safe harbors, can be of critical importance when trying to avoid criminal charges for a client. Years of experience with these nuances of health care law and combined decades of negotiation and trial experience allows our attorneys to identify even the most remote exception and to present compelling reasons and arguments to the government, a judge, or a jury as to why no legal violation occurred. If you are concerned about your exposure, you should contact experience health care fraud defense attorneys that are profoundly familiar with health care laws and government investigations. Here are some guidelines. Federal Practice. Most kickback charges are brought by the federal government and are resolved in federal courts, so you want an attorney that has experience with federal cases and federal procedures. Industry Knowledge. When you are nervous about your future, you don’t want an attorney that first needs to research the law and its exceptions. Health care law is complicated and not a hobby and government investigations should not be responded as an experiment. Look for attorneys with a proven track record, that understand your specific industry, and that can help you instantly—based on familiarity with the law and based on prior experience and case results. Specific Experience. As investigations into violations of anti-kickback laws may be civil or criminal, you want an attorney who knows how to avoid criminal charges when there still is an opportunity or how to defeat criminal charges in court. Experienced in health care fraud defense, Oberheiden, P.C. represents doctors, pharmacists, and other health care professionals across the country undergoing kickback investigations. As former federal health care prosecutors and veteran health care defense attorneys, Oberheiden, P.C. understands both sides of kickback investigations and uses that knowledge to achieve successful outcomes for its clients. If you are under investigation for kickbacks, contact Oberheiden, P.C. today for a free and confidential consultation with one of our attorneys.